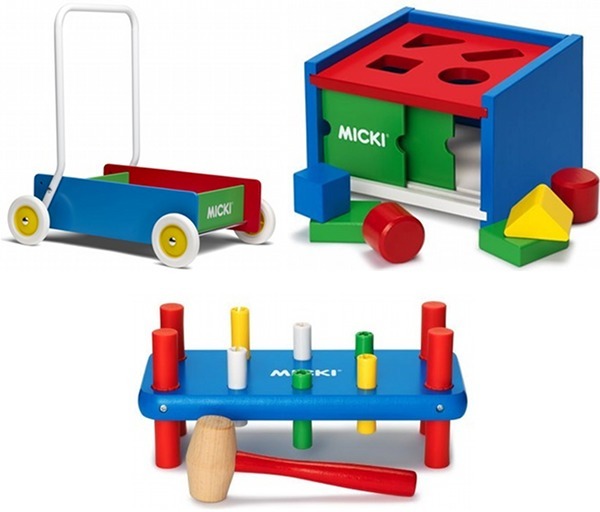 Save on Micki toys and furniture at Buyster! It’s getting to that time of year in our household where we’re all getting a bit bored with our current toys. There hasn’t been a kid birthday since February and there won’t be another until October so we like to buy them a treat or two in the winter months. 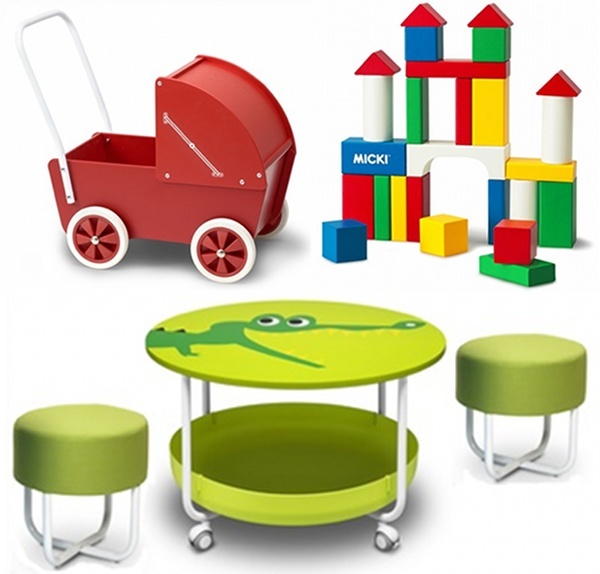 Luckily Buyster have teamed up with fab toy and furniture brand Micki to bring you some fabulous finds at great prices! The large red pram ($199.95) up there has taken my fancy ever since I saw it for real at this year’s Sydney Kids Instyle show. What a perfect way to transport teddies, dollies and the odd family pet! 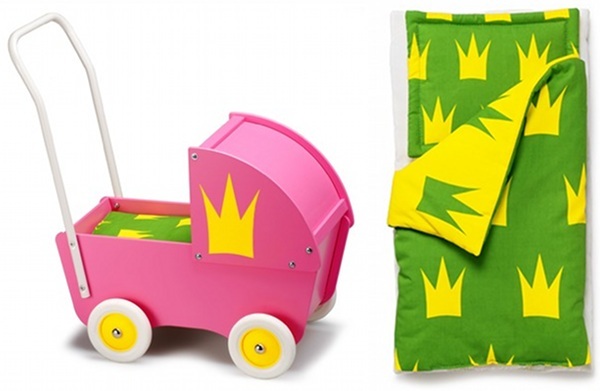 The pram also comes in a smaller pink version ($127) and you can add a groovy pram liner ($19.85). Got an inquisitive baby soon to turn one? Make sure he or she has these classic first birthday gifts – the Classic Wooden Walker is $89.95, the Classic Wooden Sorting Box is $39 and the Classic Wooden Sorting Bench is $27. These cute rugs are flying out at just $39.95 each, down from $132! That’s a seventy per cent saving. Get zebra, crocodile and hedgehog – get them all at this price! Hurry in to Buyster now for these awesome savings!